When we travel in RoadAbode, we always carry a full tool kit with us. Since we are traveling in a "house on wheels," there's always the possibility of something rattling loose, or in need of repair. It's good to have a kit to do a simple "fixit" to keep your weekend or road trip going, at least till you can complete a more substantial repair when back home if needed. Even with our tool kit on board, there is one tool I have on my person at all times. I've used it at work, church, home and even in fancy restaurants. This one tool actually has 12 tools in one, but it's compact, stays in my pocket, and the only place it has not gone with me is government buildings or airports. And you can't get buy one exactly like mine anymore - it's been "retired". The founder of the company has been making these multitools for over thirty years. The standard for quality, durability, precision and attention to detail are what make these tools like no other. Ever since it first was invented this particular tool manufacturer has been known for just one thing - creating the world's highest quality multipurpose tools. 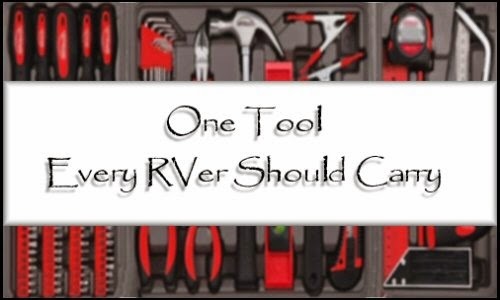 It really can do just about everything the RoadAbode Crew needs in a tool. Held right, it's even helped me hit in a nail or two in a pinch. In camp I can shave some kindling, cut open a box, tighten some screws, or measure exactly how long athat caterpillar is our kids had found. It's ready for all sorts of jobs! Tim Leatherman is the founder of the Leatherman Tool Company. In the 1970's he received his Bachelor of Science in Mechanical Engineering from Oregon State University. After school, Tim's time spent traveling abroad - which included staying at hostels and driving an unreliable Fiat - convinced him of the need for a pliers based, multi-purpose tool. At the time, nothing was available on the market. According to the Leatherman website Tim explains it this way: "I was carrying an old Boy Scout-type knife and used it for everything from slicing bread to making adjustments to the car. But I kept wishing I had a pair of pliers!" Tim Leatherman, from that one idea developed and created the original multitool. In 1983 The Leatherman Tool Group officially incorporated in Portland, Oregon. Their product line grew from a few simple, but fundamental principles: manufacture the highest quality products that deliver excellent value to the consumer, while providing good, living-wage jobs to the local Portland workforce. My SideClip is very close in usability and form to the original "Pocket Survival Tool" (PST) made by Tim Leatherman in the early 1980's. My SideClip is very similar in simplicity - with the addition of a clip that lets the tool sit in snugly at the top of my front pant pocket - always at the ready. Thirty years later the Leatherman company is still crafting their famous multi-tools and are proud to support U.S. workers who are dedicated to the quality craftsmanship that goes into each of their originally American designed multi-tools. 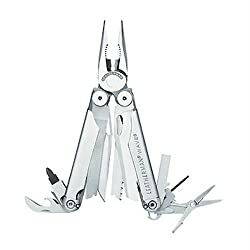 Though the original PST and my SideClip have been retired, Leatherman still make tools that are of high quality and meet or exceed your needs.The other major plus of owning a Leatherman tool is the 25-year guarantee on all tools - Repaired or replaced - no questions asked, except if the tool has sentimental value. They ask if it has sentimental value so they can return it if they cannot repair for you. 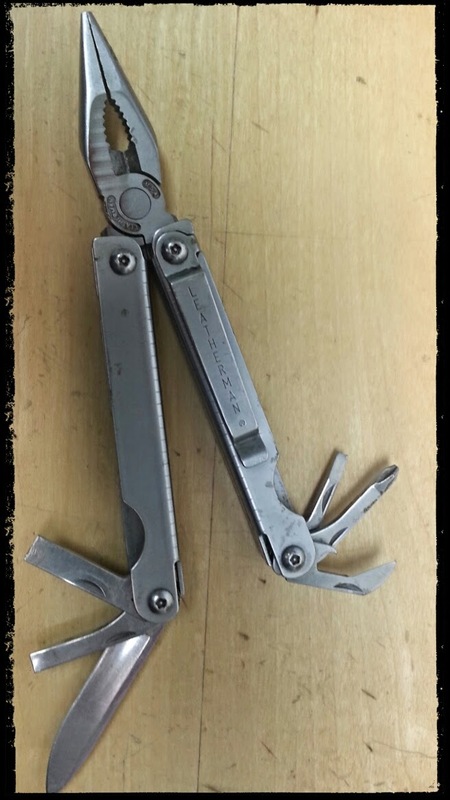 Leatherman Multitools are really made well and last long. It's the first tool I pull out on a lot of small jobs. If my Leatherman can't do it, then it's time to pull out the big toolbox. If you want your own, check some of the models available now from Amazon. The "Wingman" is probably the most economical, and closest to the SideClip they currently have. Leatherman does make a add-on clip so the tool is like my SideClip, but it is only able to be attached to the more pricey New Wave, Charge Ti and Charge XTi multi-tools. Do you have a Leatherman? What have you used it for? If you have another tool that is your "#1" - we'd love to hear about it- Tell us in the comments below!